The phenomenon that is Harry Potter is so ingrained into our society that our children’s children will be talking about it. New theories will still be popping up. Colleges will still have classes on the subject. Perhaps they’ll even be debating originals vs. the remakes. Everyone will still agree she’s the worst. Here at Eat More of It we’re more interested in the food. Now, please don’t misunderstand me. I am a complete Potterhead. I have read the books, I have seen the movies, I even have a Pottermore account. (Quick question: How many of you looked to see who wrote this post?) That’s why I am so excited about this project. It’s going to be long. It’s going to be time consuming. I am going to love every minute of it. A few years ago for Christmas Josh bought me The Unofficial Harry Potter Cookbook. A few weeks ago I was looking through my cookbooks when I rediscovered this long lost gem. The idea to blog my way through the cookbook hit me like a Stupefy spell. The cookbook has every food and drink mentioned in the books. It follows the books from beginning to end. This means that the recipes are not categorized into desserts, dinner, etc, but by book and chapter. The first chapter – Good Food with Bad Relatives – has fifteen recipes and eleven of them are desserts! I have a feeling I will be taking a lot of food to work. I also have a feeling that no one is going to mind. A note before I continue: I will not be posting the recipes here. I feel that by doing so I would be taking away from the wonderful author, Dinah Buscholz, and all the work she put into bringing the food of Harry Potter to life. If you wish to cook along with me, or go on your own, you can easily pick up your own copy of The Unofficial Harry Potter Cookbook. 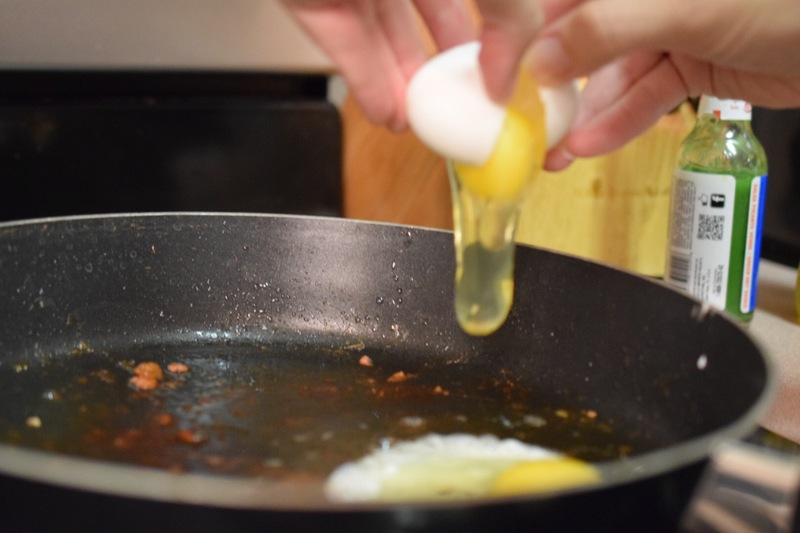 I tackled the first recipe for dinner the other night which might seem odd because it’s a breakfast dish. I had a craving. 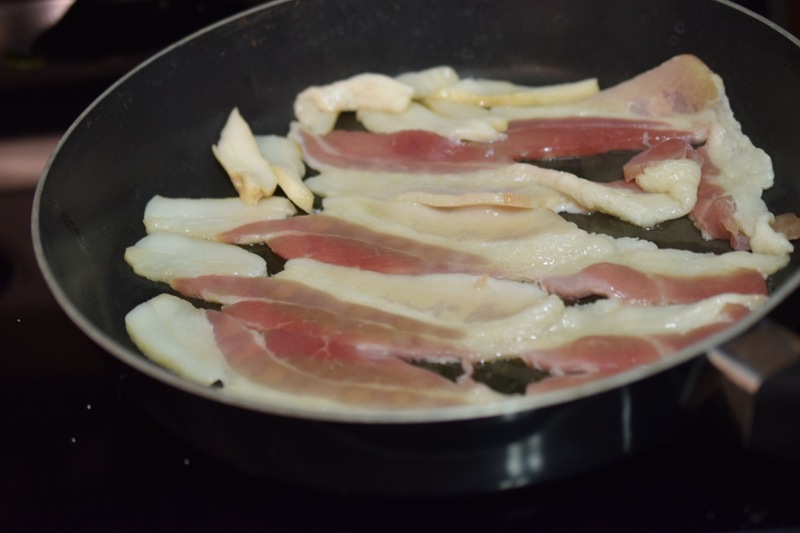 I’ve always wondered what a “rasher” was, and with this recipe, I found out. It’s a slice, in case you didn’t know. I may have to add this to my daily lingo. We normally cook our bacon in the oven. Place the bacon on a cookie sheet and place it in a cold oven. Heat to 400 degrees. When the oven is done heating the bacon should be done. Just keep it in a little longer if you like your bacon crispier. 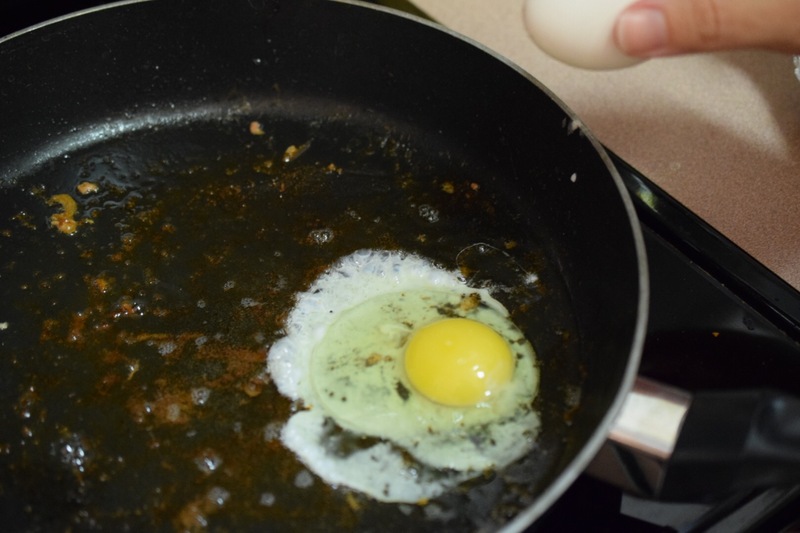 This recipe, however, calls for a frying pan. I love that this recipe is simple and comforting. 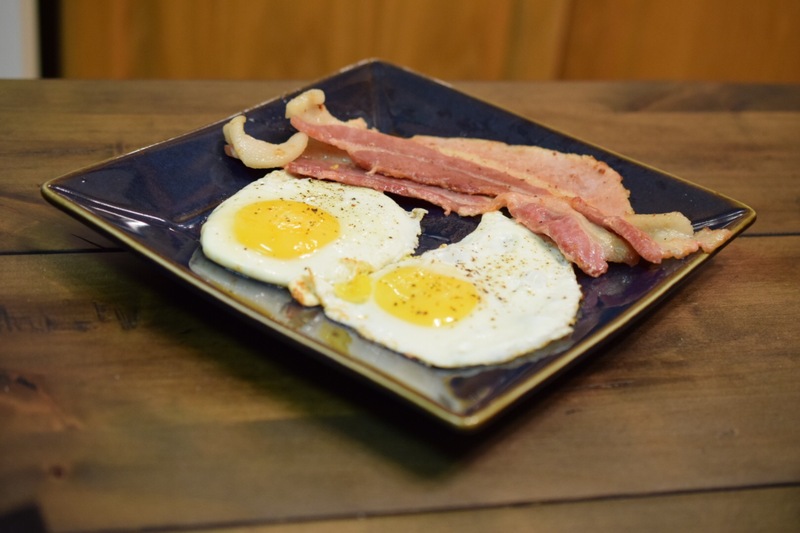 Eggs and bacon. That’s it. It’s something that could be made in the morning before work or school. Something so simple, even 11 year old Harry could make it. What a fun idea. I look forward to future posts in this series.